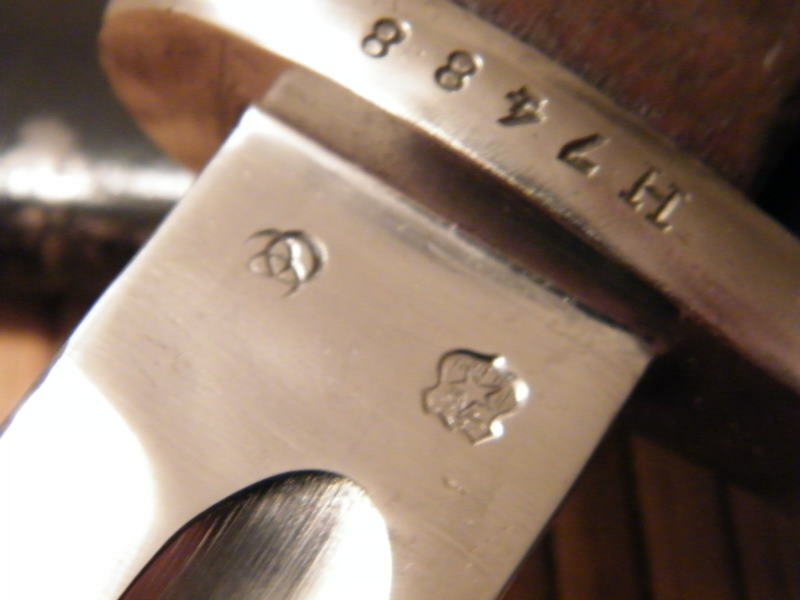 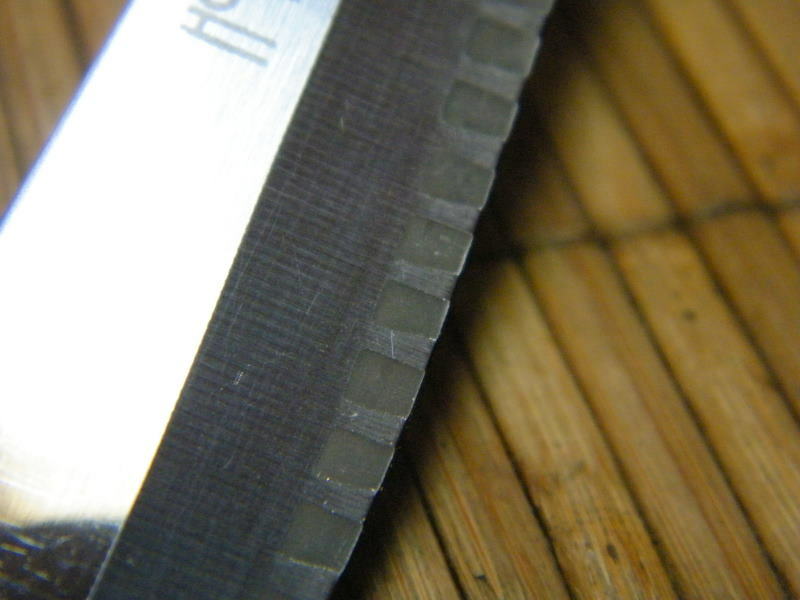 According the stamp the knife was made after 1921 by the Iisakki Järvenpää factory, Kauhava, Finland. 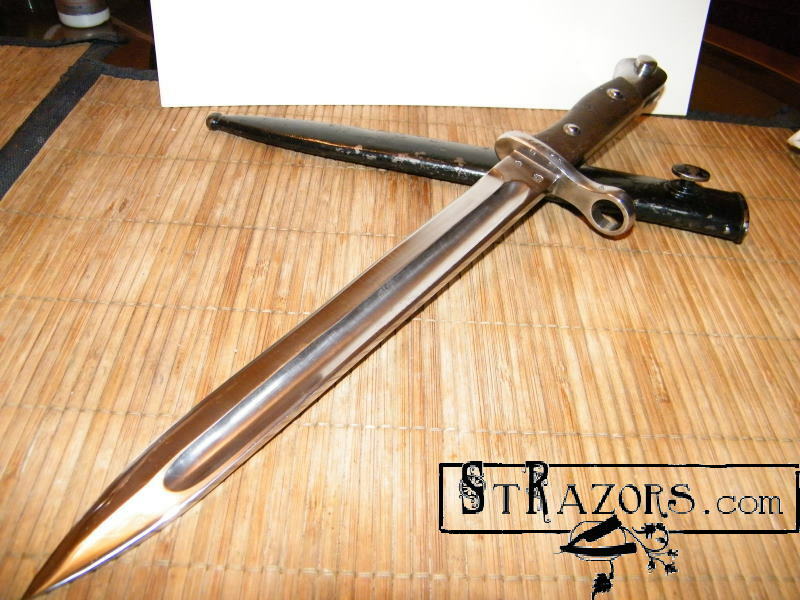 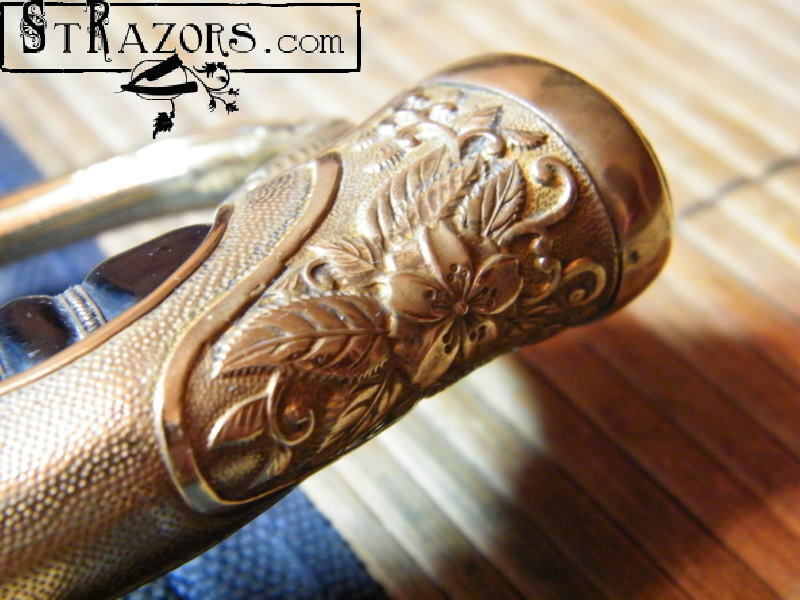 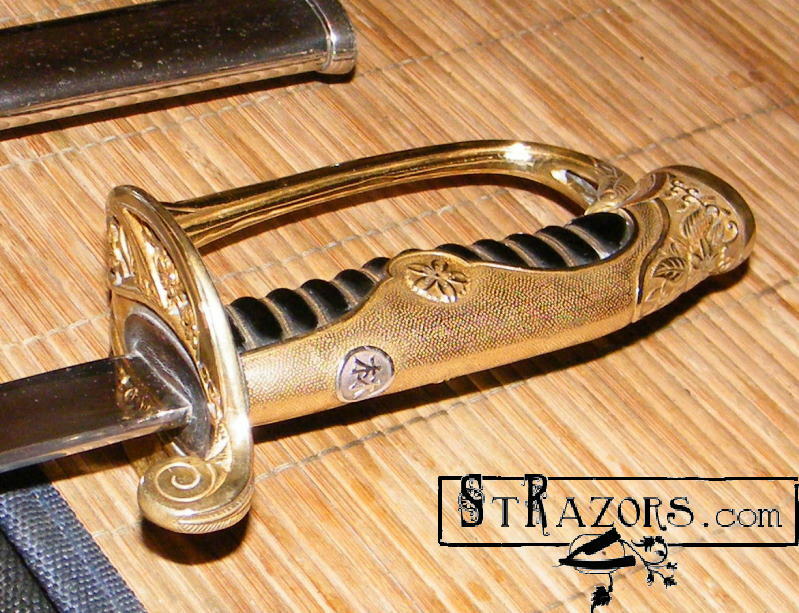 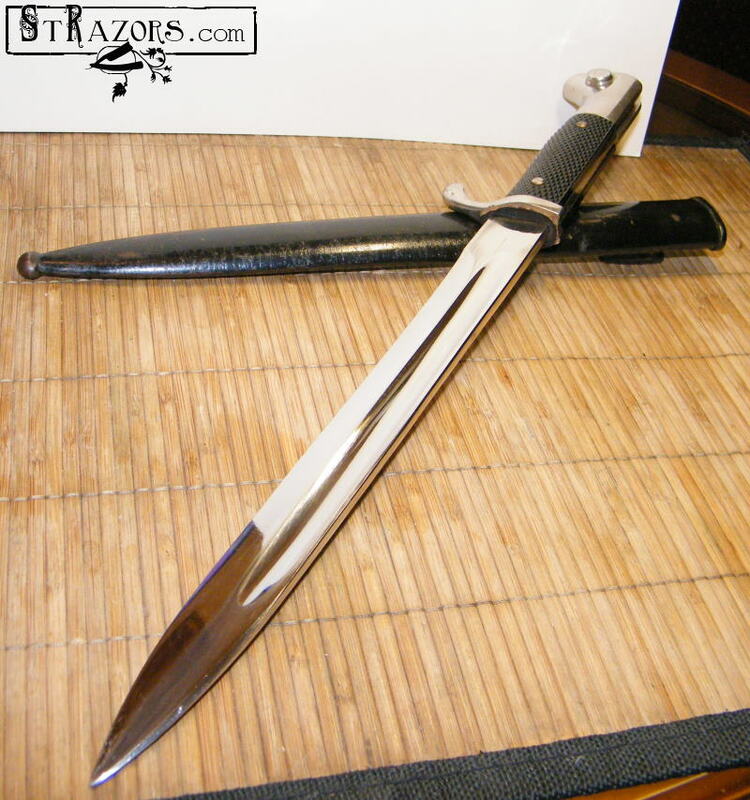 The bayonet was made by Wilkinson Sword Co., Sheffield. 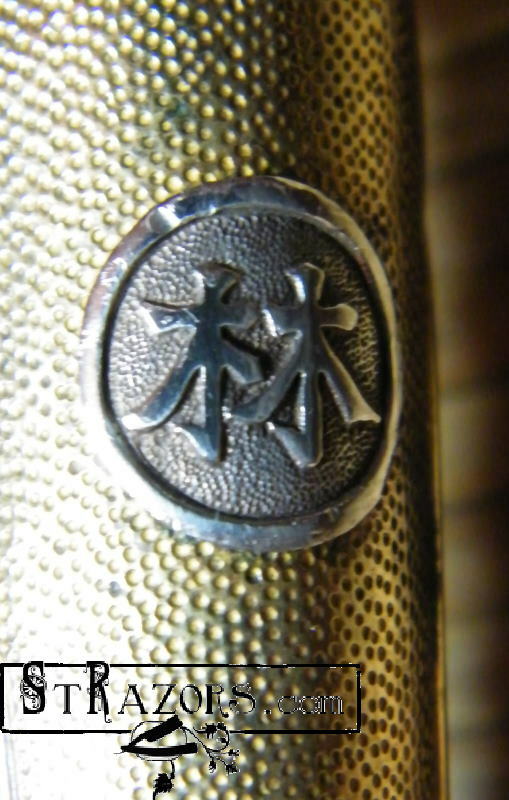 This trademark was used by Case, Bradford during 1925-1948. 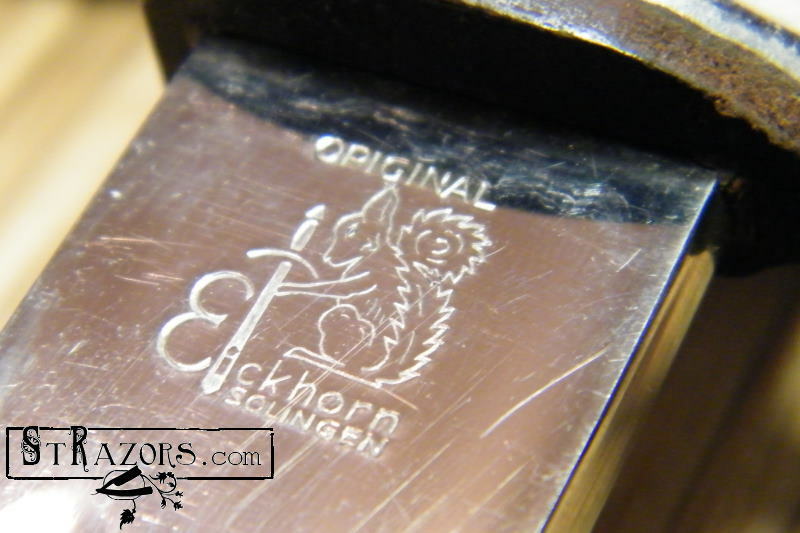 Carl Eickhorn, Solingen, 1865 - 1972. 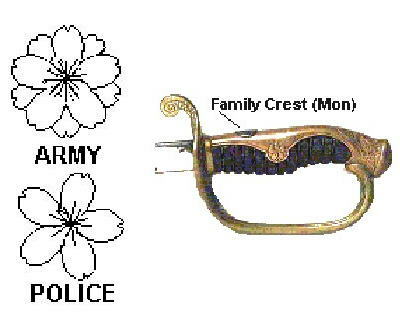 The company registered 14th January 1886. 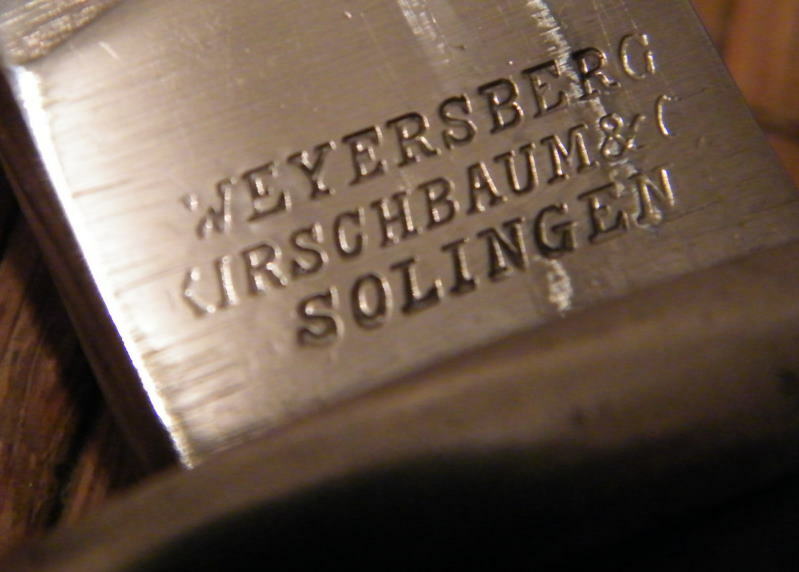 Made by Weyersberg, Kirschbaum & Co., Solingen, 1883-1930. 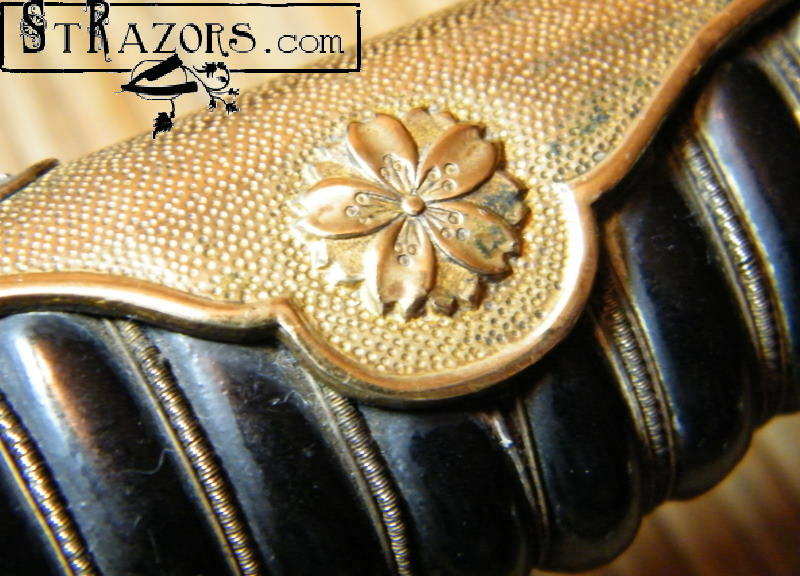 Japanese Army Company Grade Parade Sword with Family Mon. 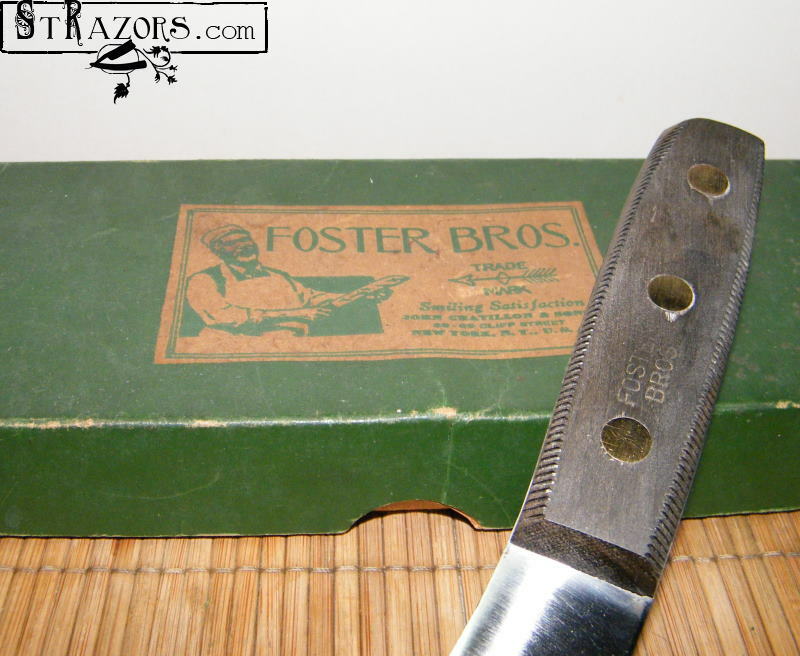 Foster Bros. 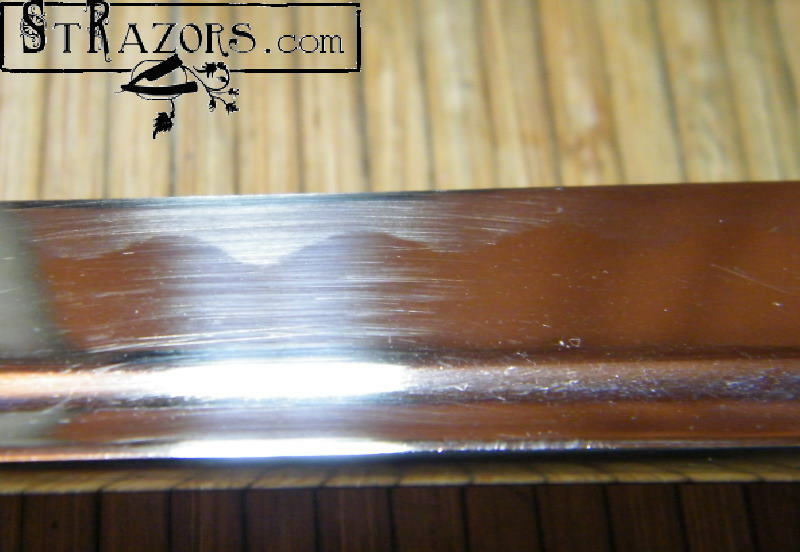 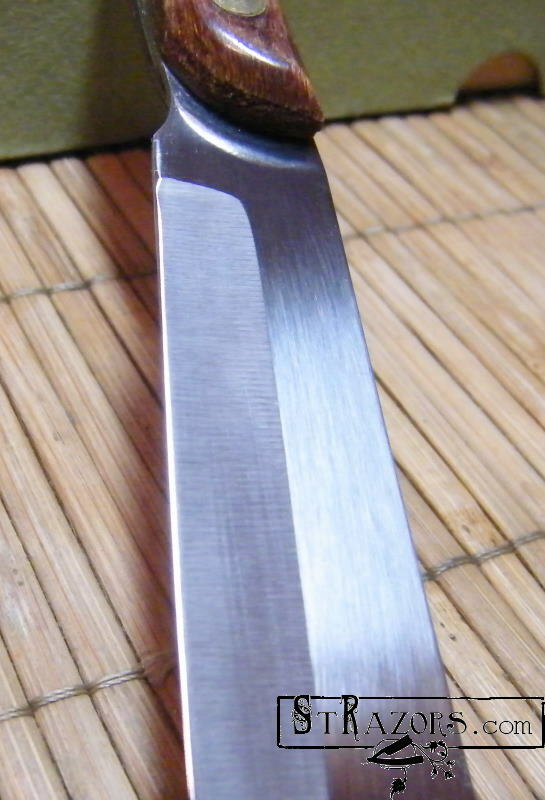 Carbon Steel Chef's Skinning Knife. 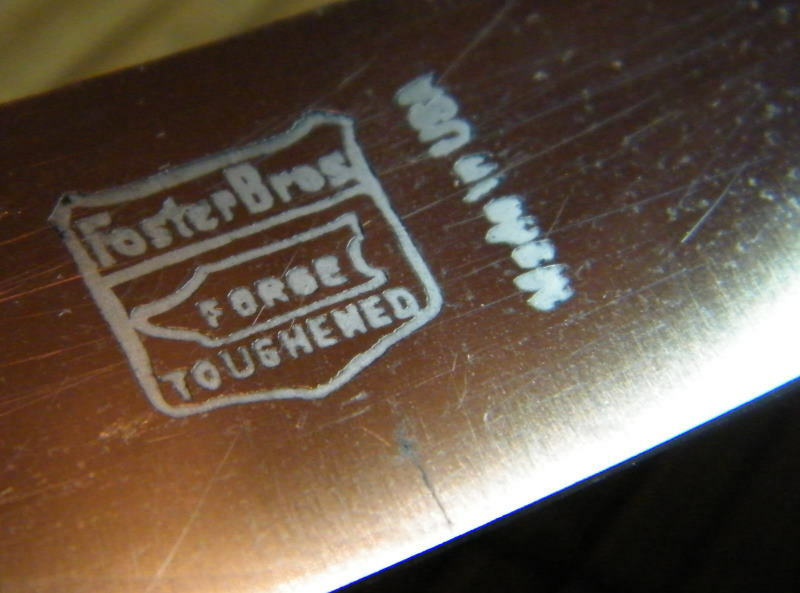 The knife was made by Foster Brothers. 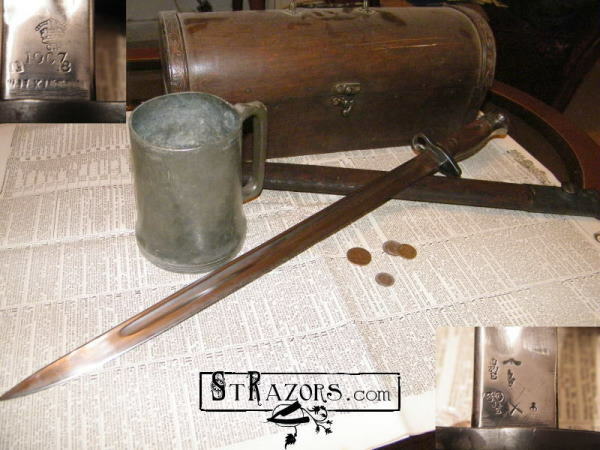 The company was founded in 1835 by John Chatillon. 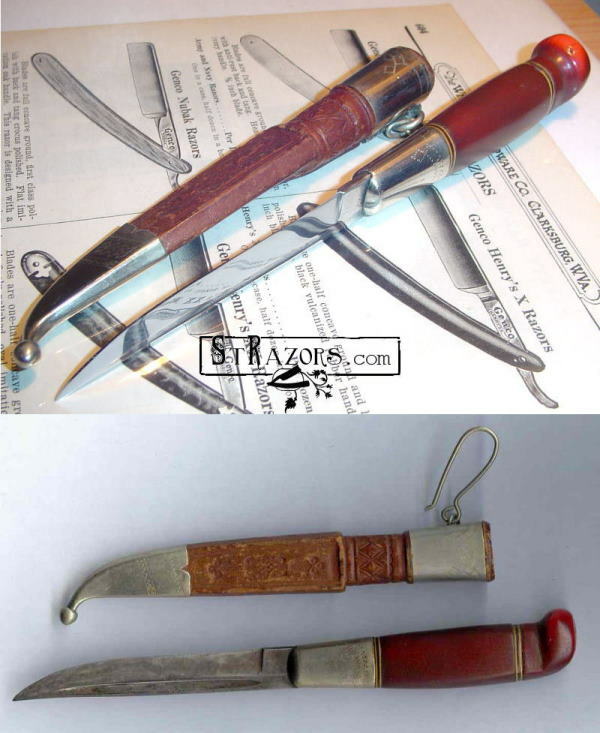 They are still in business. 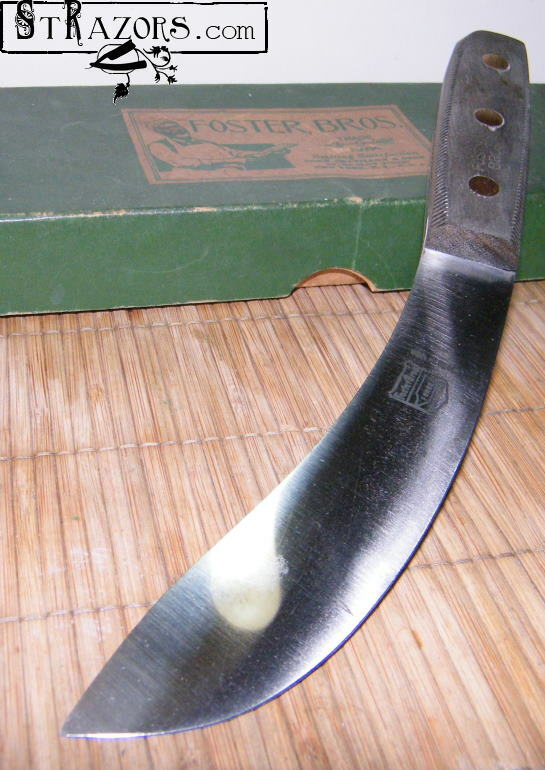 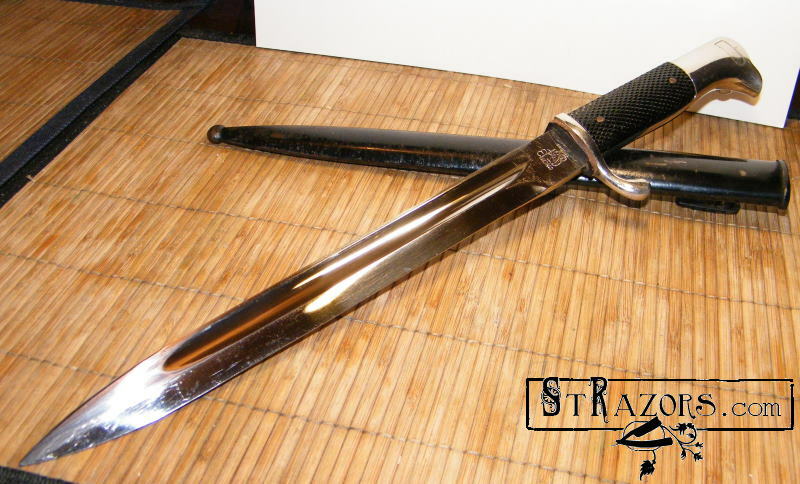 Blade reads, "Foster Bros., Forge Toughened, Made in U.S.A."
The knife dates to the period 1930's - 1950's. 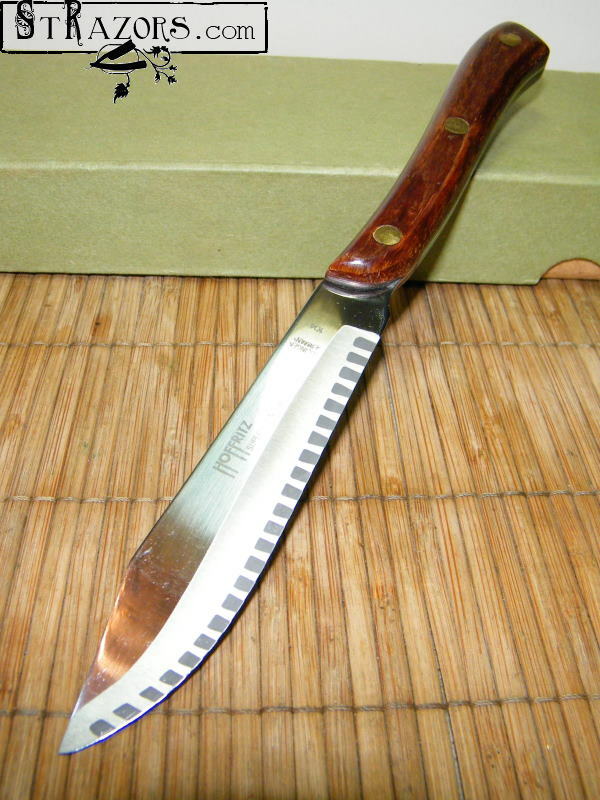 Wingen/Hoffritz Chef's Small Butcher Knife. 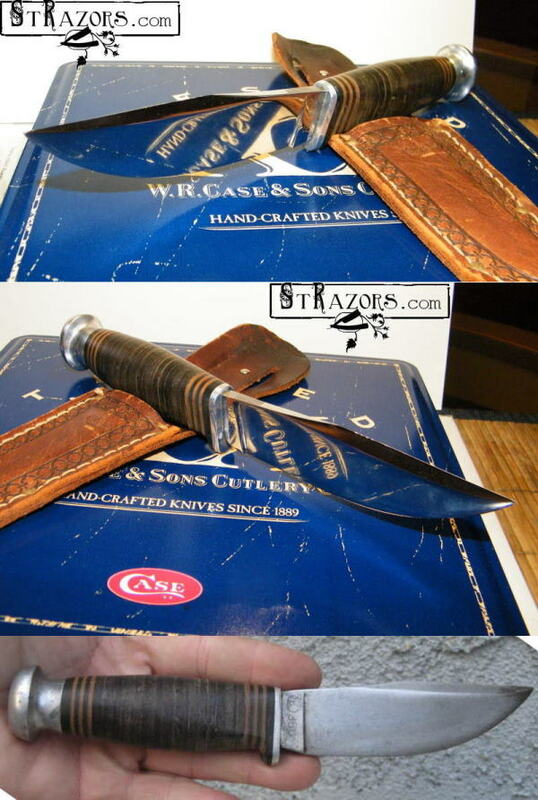 This small and very handy butcher knife was made by Anton Wingen Jr., Solingen. 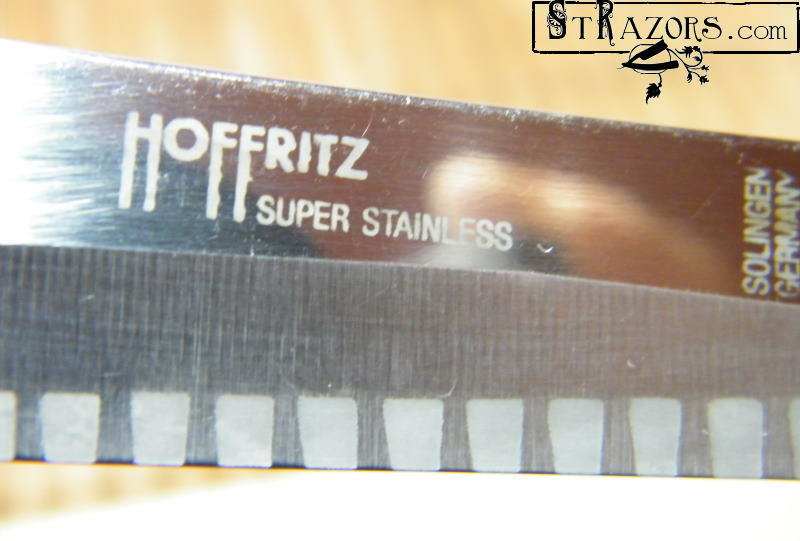 for the old Hoffritz retail stores back in the 1970's. 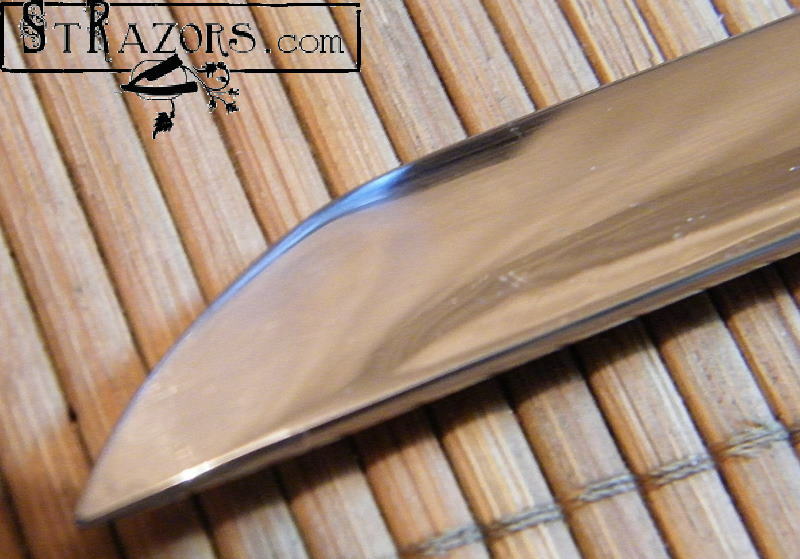 With a microscopic layer of cast iron clad onto its edge in an alternating pattern, it's designed to glide through foods with a minimum of resistance. 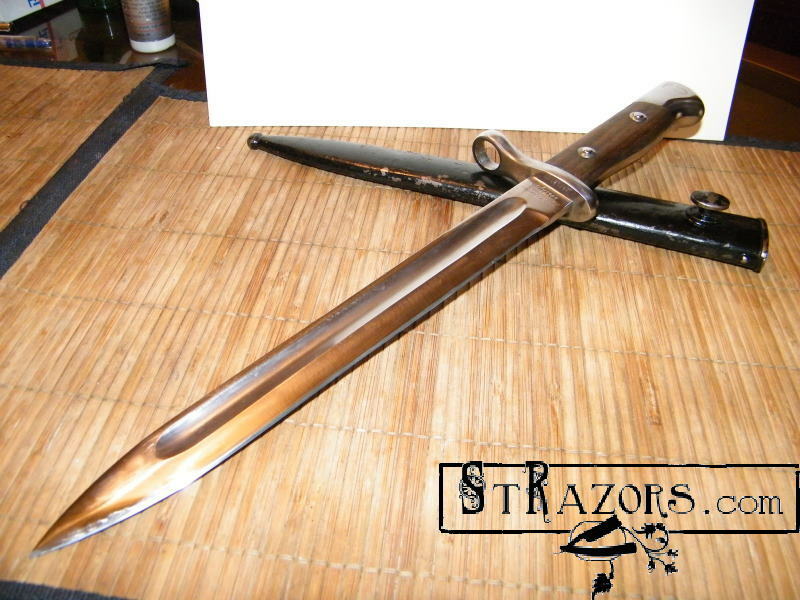 It comes with a 4.25" blade (it's 8-5/8" overall).